No occasion i.e. birthday, wedding, exam results, new home, new job etc. etc. is complete without something sweet, without mithai. According to Hindus, the ingredients in mithai; sugar, milk, and ghee are considered to be ‘sattvic’ meaning pure and can be eaten by everyone including vegetarians. Being sattvic, mithai is also offered to the Gods and distributed as prashad to the devotees in temples. Even though mithai has no religious significance, it is used to break a fast and also eaten during fasting. Mithai is a vital element to share moments of joy and happiness with loved ones. This ancient tradition has been kept alive for centuries and mithai will continue to be served during auspicious and important celebrations. 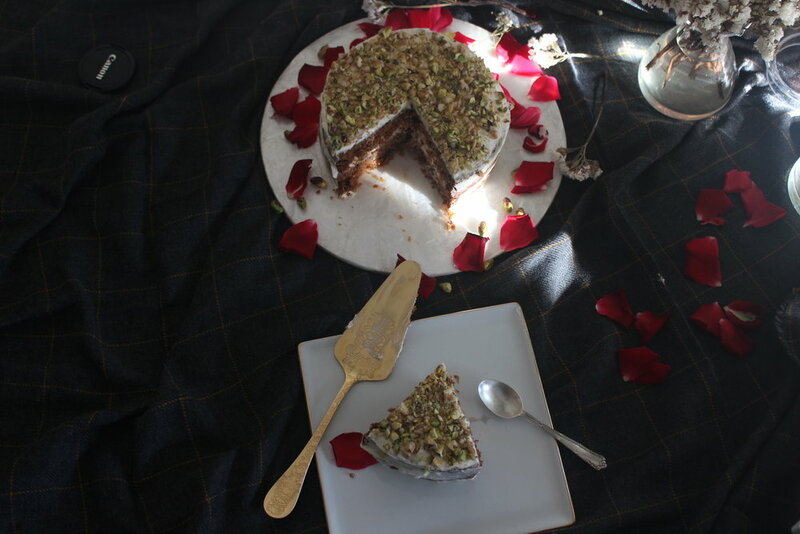 This being my first recipe on the blog, I would have liked to mark the occasion with a mithai recipe. Sadly, Indian mithai is not my strong point. 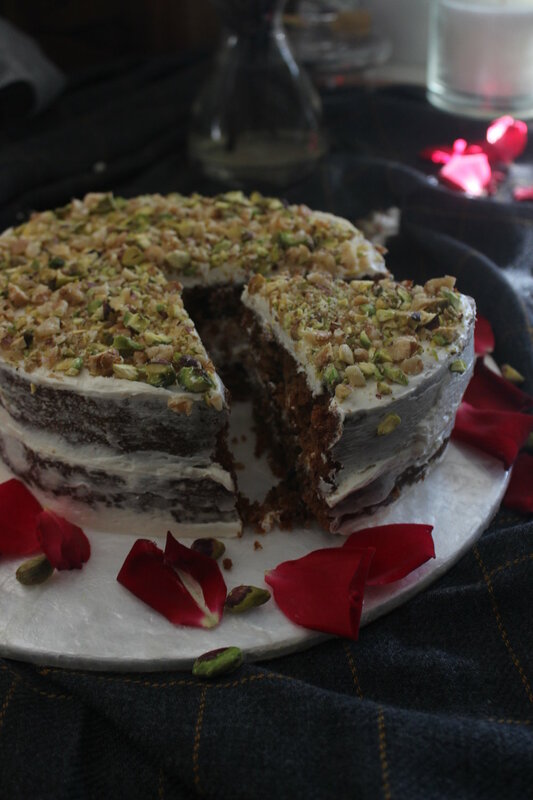 To compensate for my lack of mithai making skills, I have chosen to share an eggless carrot cake recipe. To me, carrot cake with cream cheese frosting is kind of like the western version of gajjar no halwo/gajjar ka halwa with icecream. Beat the softened cream cheese with sugar and vanilla essence.